GRIFFITH, Ind. (WLS) -- Police in Griffith, Ind., are recommending charges in a brawl during a high school basketball game. It's now up to the Lake County state's attorney to decide if charges will be filed. 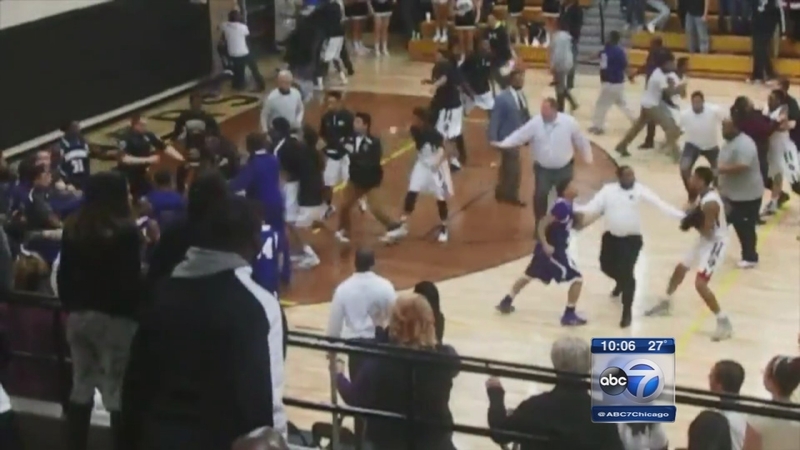 A huge fight broke out during a game between Griffith and Hammond high schools on February 7. Some adults got involved. The police chief says charges were recommended after those involved in the brawl turned down alternative discipline suggested by the department.